Are you ready to live in a community dedicated to empowering you to live life on your own terms? Then welcome to The Garden Estates of Tyler. You will find our community in the heart of the peaceful, picturesque community of Tyler, Texas, where we offer both Independent Living and Assisted Living lifestyle options suited just for you. When you first visit Garden Estates of Tyler, you might have to pinch yourself. Our beautiful estate and care services are designed just for you. We take care of the chores so that you can live your life pursuing your passions, or simply enjoying a life of leisure. Whether you choose to play some pool, take a walk in the courtyard, or stay in and enjoy a movie in the theater, the laughter and camaraderie of your new friends are just a step away. Life at Garden Estates includes our Fresh for You dining program, housekeeping service, daily activities, on-site rehabilitation services, daily wellness checks, and more. We drive groups to local markets, restaurants, and attractions, too. Have a request? We are more than happy to take you wherever you need or want to go—just ask! Conveniently located near two major hospitals, places of worship, shopping, museums, universities, and more, we will gladly chauffeur you wherever you want to go. While some communities insist on new residents plopping down huge, non-refundable payments up-front, we like to do things a little differently. We care about not only the physical and emotional well being of our residents, but their financial health as well. That’s why we offer our Tyler Independent Living residents all the perks of fine living without the expensive buy-in—just a simple lease. Explore nearby cities like Longview. It’s the service culture at every Senior Living community that sets us apart. 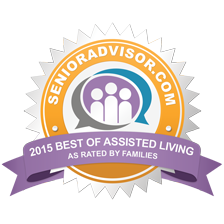 Our experienced, highly trained staff find everyday fulfillment as they help residents live life to the fullest. Below you will find the services and amenities available that are specific to this Tyler Independent Living location, organized by lifestyle option. Executive Director, Karla Jackson comes to us with over 30 years of experience in the senior care industry. She would love to greet you when you stop by and enjoys discussing the premier services and vibrant qualities of the Garden Estates of Tyler community. 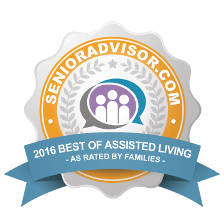 Garden Estates of Tyler is the recipient of the Caring.com Caring Star Award in 2015 and SeniorAdvsior.com Best of 2016. This award is given to communities for excellence in service in Assisted Living or Memory care communities. Garden Estates of Tyler was very good. I liked it. I wish I could move in there. It seemed very family oriented. The apartment was large, and they had a library, a place for puzzles, activity room, and activities happening almost all the time. It’s just very pretty and nice, and everybody was very friendly. The dining area was very nice. The tables were set very nicely with flowers on the table. It was very pretty. They have a private dining room that was very pretty with a large table and artwork if you want to do something special for your immediate family. It was very nice. Everything is going very well for my mother here at this community. I’am very pleased with all they have done for us. The staff is amazing, they have been very good to work with. She is trying some activities, they offer many for her to choose from. The food is good, she is satisfied with the meals. I know she is safe and in good hands. They provide great care and I would recommend this community.